Today I got the result of the 2017 “World Wide 160 Meter DX Contest CW” were I participated in the Low Power Category with just the K3 barefoot. Finally it ended up in 6th place in DL out of 84 participants and I am quite satisfied, because operation was just 50% of the total Contest time. The SSB-part endet up with ranking 19 out of 34, but that one was just for fun. 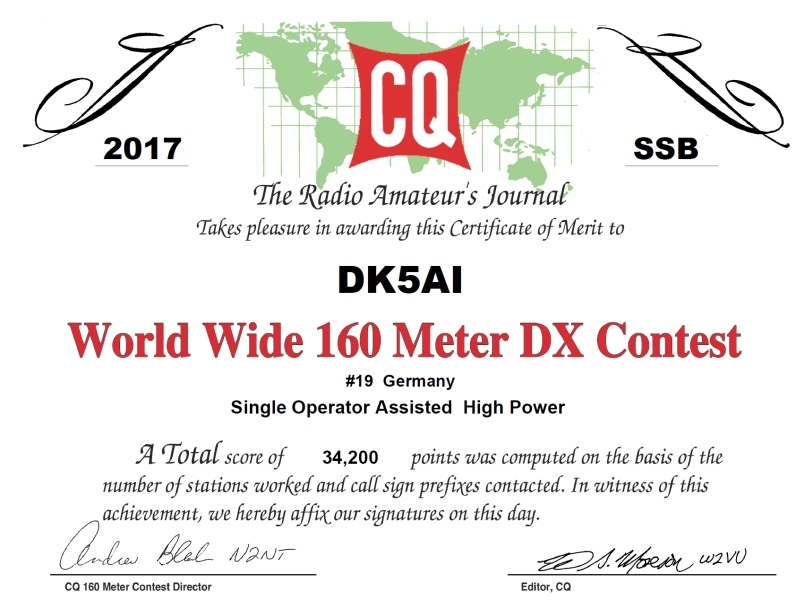 This entry was posted in Awards, Contesting and tagged Awards, Contesting, TopBand by dk5ai. Bookmark the permalink.